New Feature Update: Rewards in CrewFire! Today, we’re pleased to announce the release of a major new feature in CrewFire: Rewards! With the new Rewards feature, team Owners and Admins can upload Rewards that their Ambassadors can redeem their hard-earned points for. This feature is a big step, because motivating your Ambassadors is an important part of any successful brand ambassador campaign, and until today, customers were left to handling rewards for their Ambassadors off-platform. Ambassadors could earn points for sharing company content, and see where they stood in Rankings, but that’s where CrewFire ended. With Rewards in CrewFire, now you can complete the system by motivating your Ambassadors and showing them exactly what they can earn and win for participating in your campaigns. 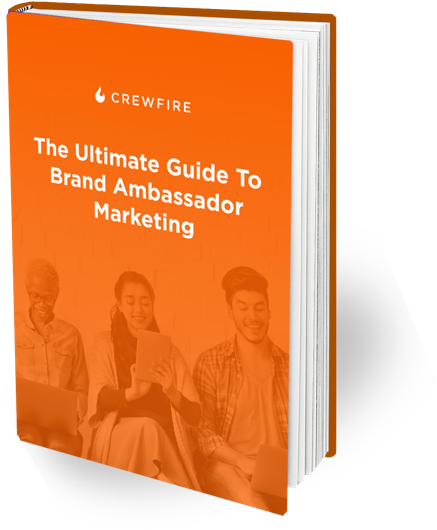 Using Rewards, your CrewFire brand ambassador campaigns will be more engaging, exciting, and, of course, rewarding for your ambassadors – so you’ll see more shares, traffic, and sales from your team than ever before. 2017’s been an exciting year. We’ve come a long way since our initial release just one year ago, and we’re excited for what the next year will bring. Here’s to a big 2018, and beyond!